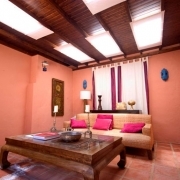 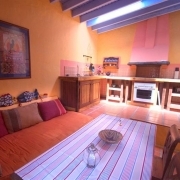 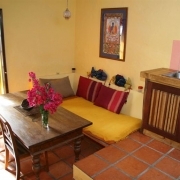 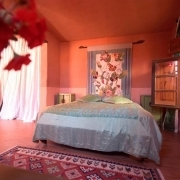 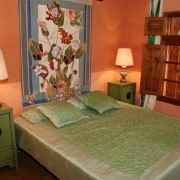 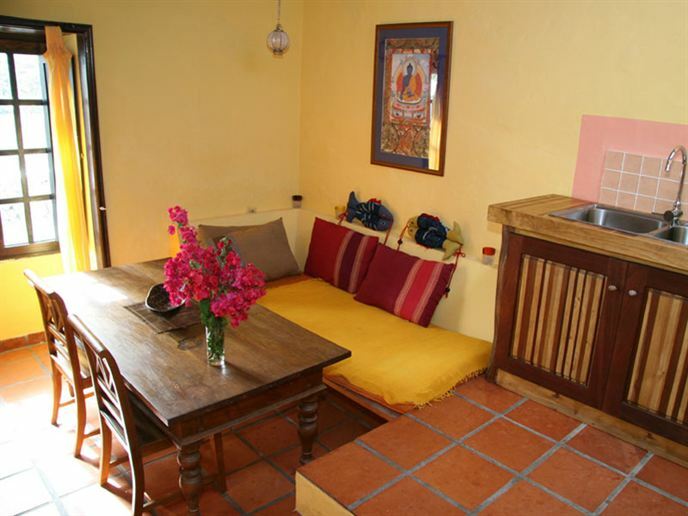 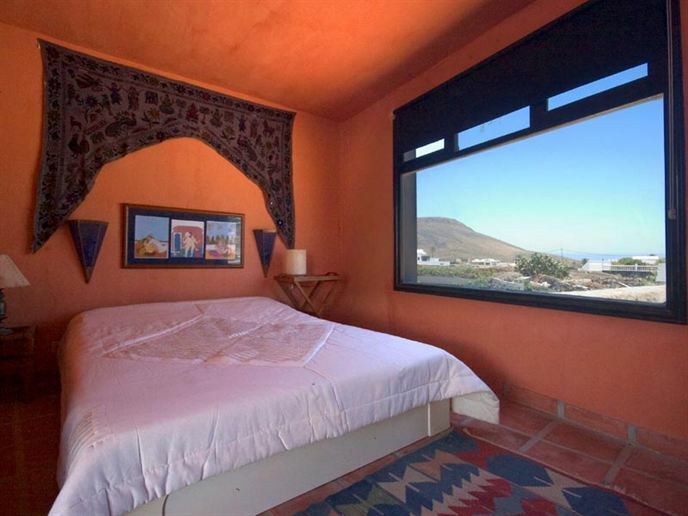 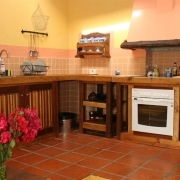 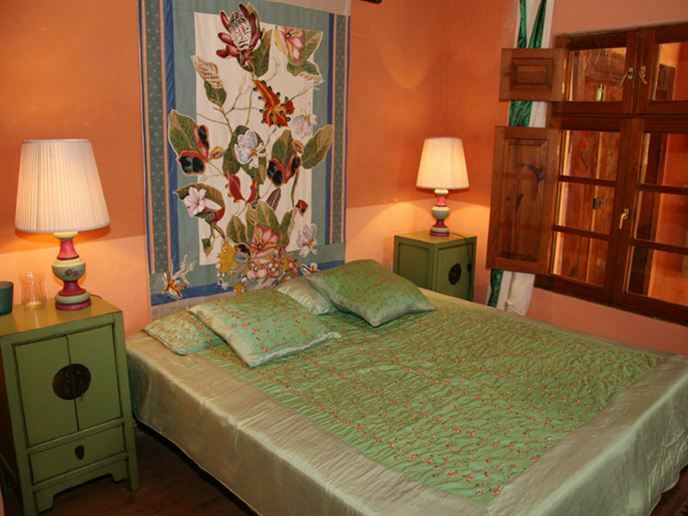 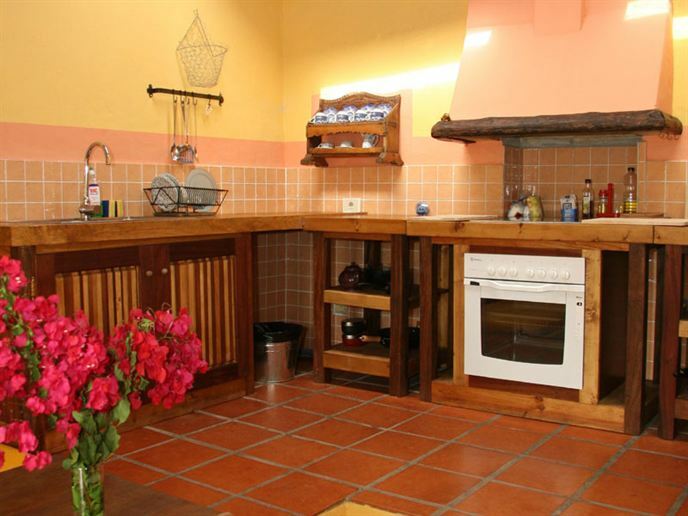 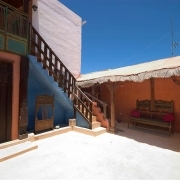 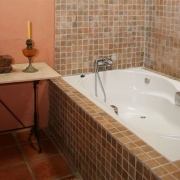 Casa Shanti sleeps up to 6 persons in 3 three bedrooms. 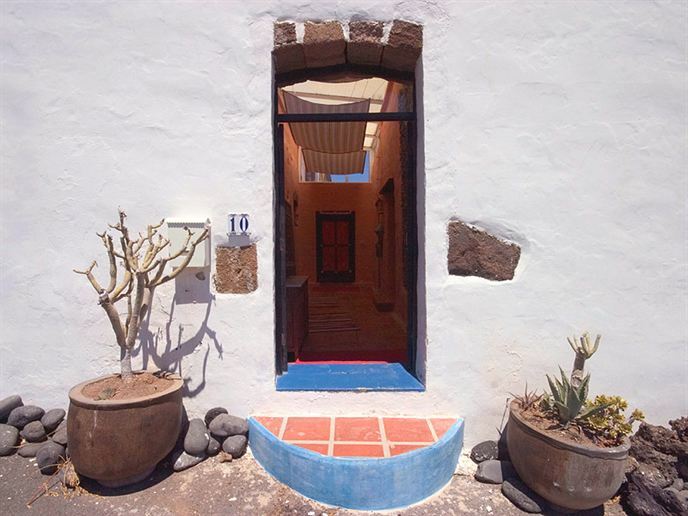 It is a typical Canarian village house that is approx. 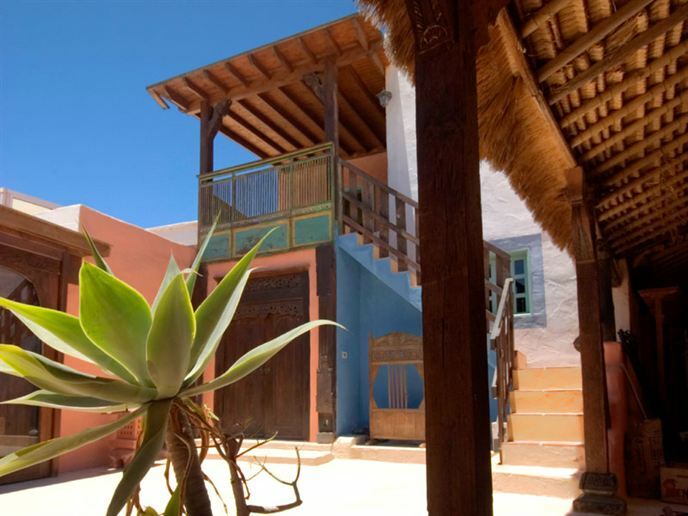 200 years old. 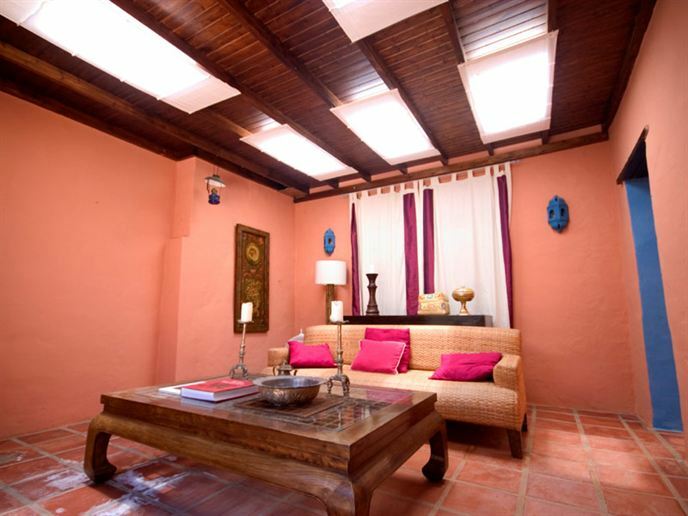 It gives off an air of peace – “Shanti” is derived from Sanskrit, meaning peace and benediction. 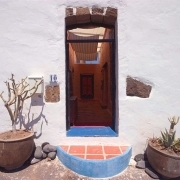 It is situated in the north of the island in the valley of the 1000 palm trees, one of the more traditional areas of Lanzarote. 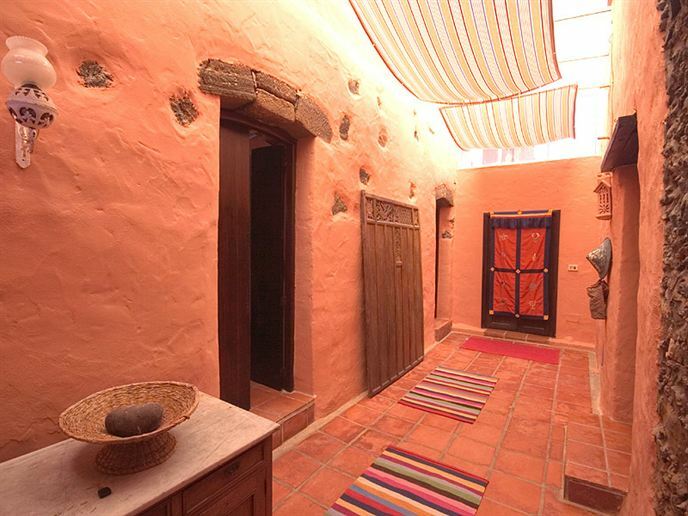 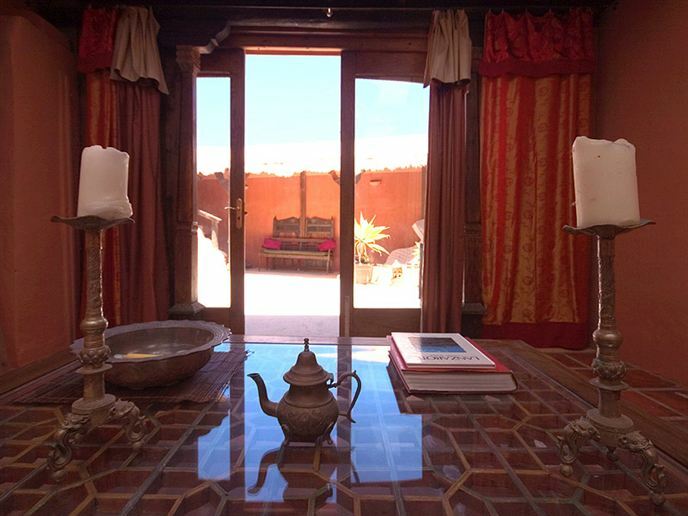 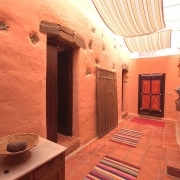 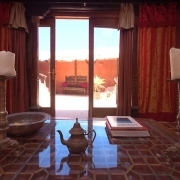 The décor has Morroccan, Indian and Indonesian influences, and elements such as lime stone, adobe and wood were used during the renovation work. 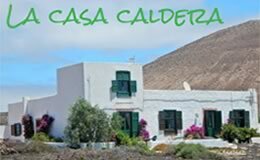 Directly outside the house spectacular landscapes can be explored – caves, volcanic tubes , volcanoes, along with the varied fauna and flora of the area. 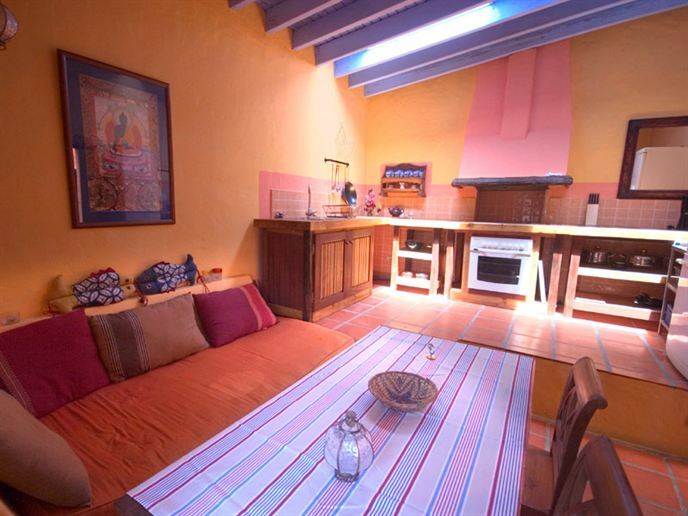 The house has a beautiful lounge / chill out area. 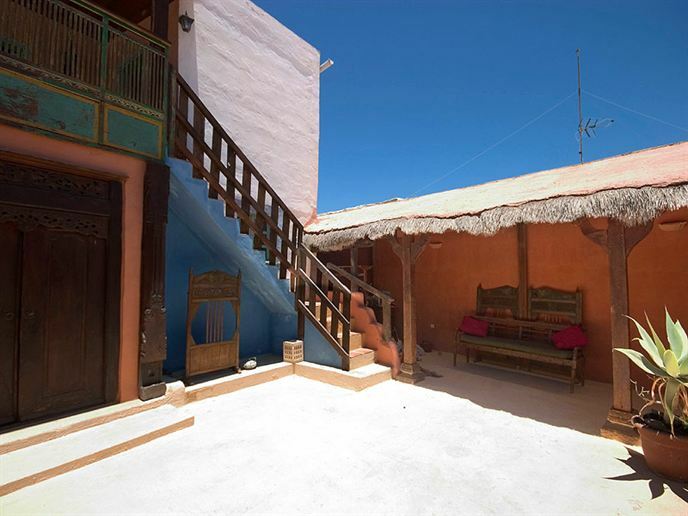 The historic village of Haria along with its artisanal market can be visited on foot. 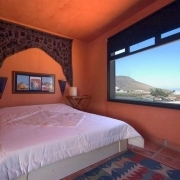 On the nearby coast we recommend the white sand dunes of Caleton Blanco, Orzola and the beaches of Arrieta and Mala. 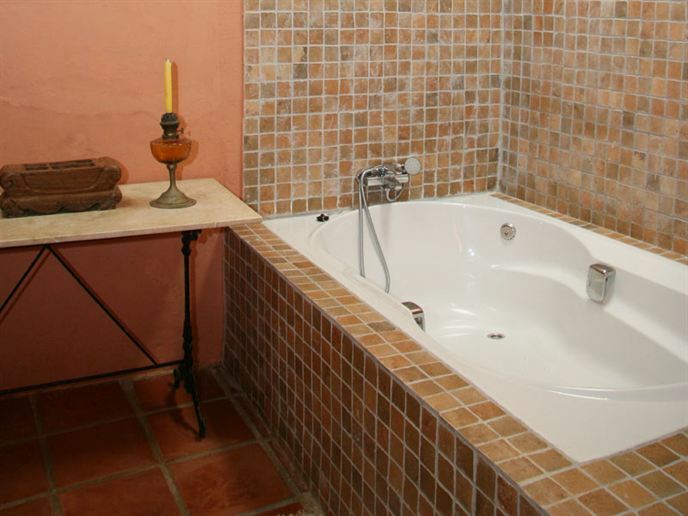 Two bathrooms with bath tub. 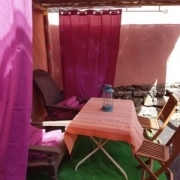 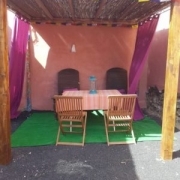 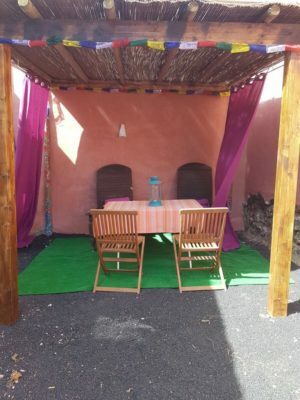 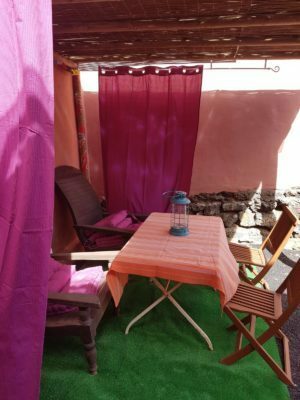 Large Canarian patio with shaded area. 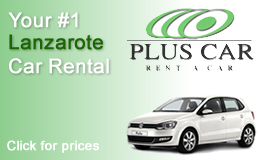 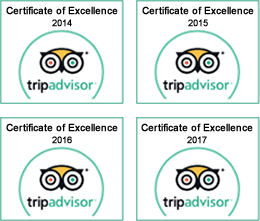 €10 extra per person. 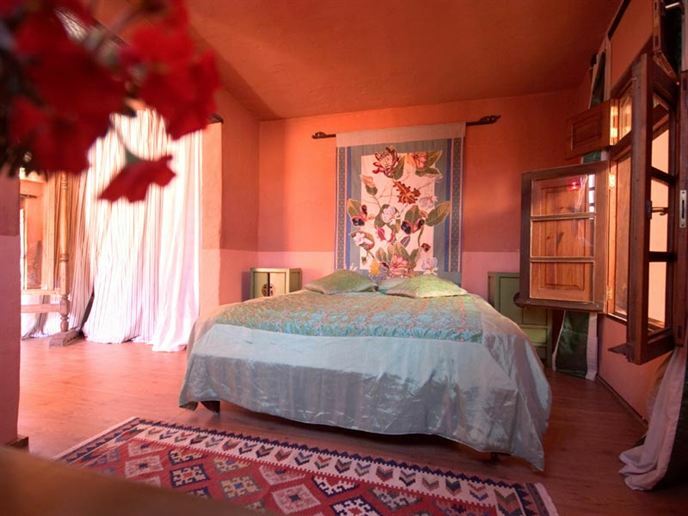 Prices are per night.